Another day, another lunch! This one made me smile. We got Mickey Mouse in the house PlanetBox! 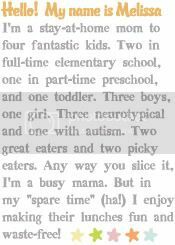 The sandwich is a little special. It is stamped with a Mickey Mouse bread stamp and then sealed with my old trusty (though never crusty) sandwich sealer. 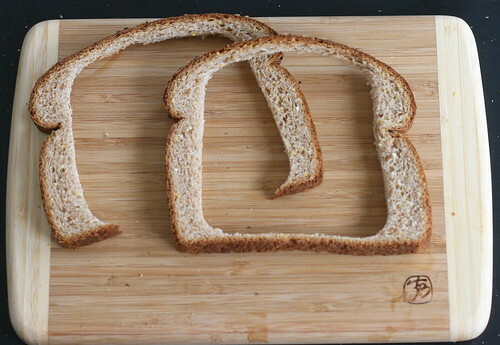 Step 1 - cut the bread. 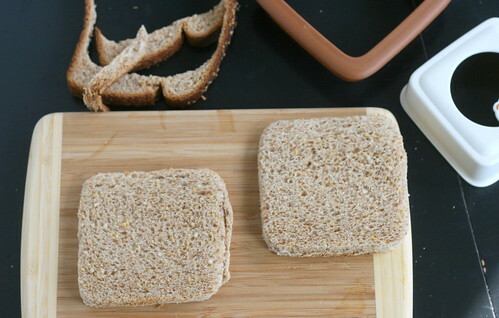 If you have a two-piece sandwich sealer like mine, use the cutting piece (for mine, it's the brown piece). Step 2 - stamp the bread. One side or two. Your choice! Step 3 - add sandwich contents. Whether it be gooey butters and jellies, egg salad, or something solid like ham and cheese: you MUST leave a clean border around the edges of the bread. The sandwich will seal on that border and if there is stuff in the way the results will not be ideal. The results will be messy at best, and most likely will not seal at all. 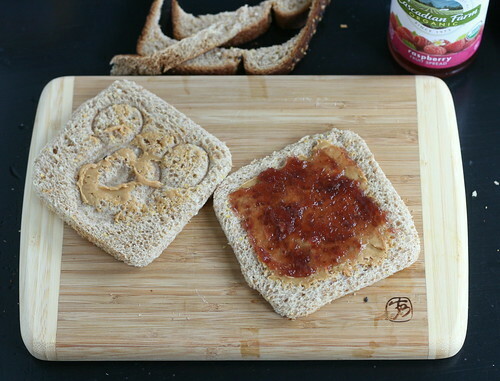 Step 4 - bring your sandwich together and press with your sandwich sealer. Admire your handiwork! What to do with the crusts? Sometimes I leave them out to dry a bit and then add them to a bag of other bread and cracker scraps to feed ducks when we go to a park. Sometimes I collect enough to make bread crumbs for a recipe. 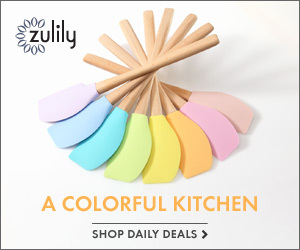 Sometimes my toddler eats them off the cutting board. Sometimes I toss them in the trash without a second thought. 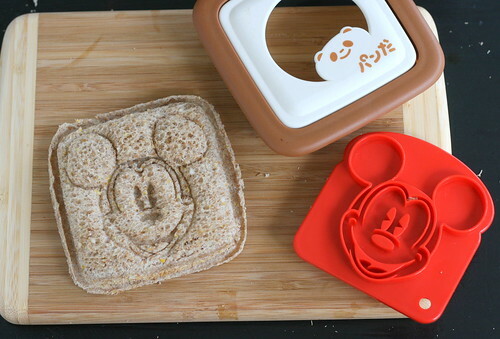 The Mickey Mouse sandwich stamp (and the Goofy cookie) were purchased at Disney World on our recent trip. I got a few other lunchy goodies while there too. I'll share more about what I found after I get a chance to figure out the mess of photos from the trip. I have pictures spread out over 5 devices (two iPhones, a point & shoot camera, my good DSLR camera, and Disney's PhotoPass). Ay yi yi! Speaking of Goofy and Disney World, one quick picture share, in honor of it being Talk Like a Pirate Day. 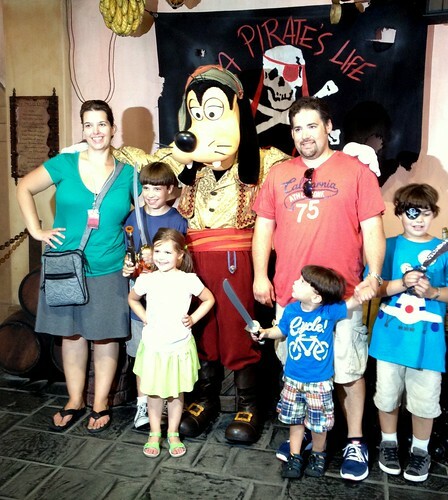 :) Here we are on our first day in the Magic Kingdom with Pirate Goofy. He greeted us just outside Pirates of the Caribbean. 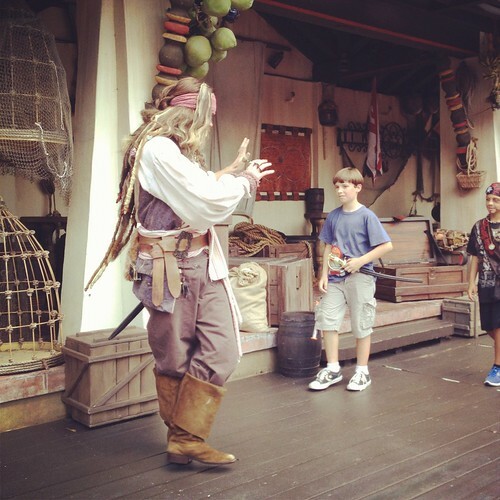 Ooh, but then later that afternoon, Ethan was chosen from the audience to go on stage with Jack Sparrow for a pirate tutorial. So fun! Owen was called up at the end too, to take the Pirate Pledge. Pirate shirts. 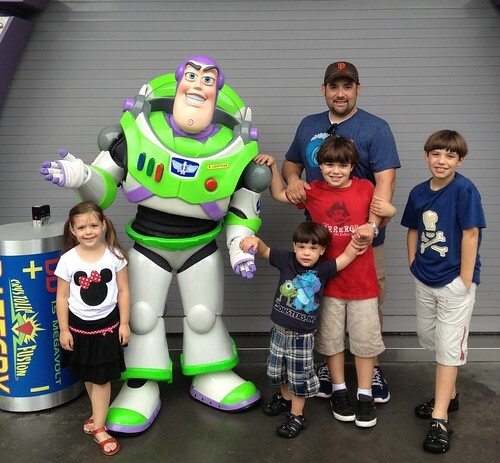 Not sure Buzz appreciated them the way Jack and Goofy might have. Okay, that's enough from me. For now anyway. Heh! I'd like to emphasize that bowl cuts are not flattering. On anyone. And I would like to emphasize that if you don't have anything nice to say, it's best to keep your thoughts to yourself. Thanks! We have Planetboxes also. My daughter loves raspberries too. Do they leak? That is my biggest worry. I have heard some people put a piece of Press n Seal over some compartments. Thanks! I love it! I wish my little one ate sandwiches. I love the way the look with the cutters and the stamps. It looks like you all had a blast on your trip. Yay for Disney! I just LOVE your blog! Your family is so cute (and ALL your hair styles!) keep up the awesome posts. If you don't have anything nice to say, don't say it at all! Thanks for the great post, as always! I am going to say something not so nice - I am green you went to Disney and I didn't (I mean my family didn't). My favorite place on earth. My friend is there with her family now. Totally green faced! Thanks for showing how to use the sandwich cutters. 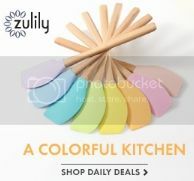 I bought a set from Pottery Barn kids but haven't used them yet. I wasn't sure how they worked and my girls don't eat sandwiches (I thought the cutters might help with that!). 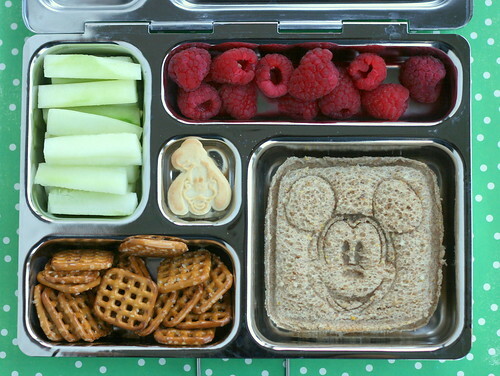 Can't wait to explore hit blog more, I always need lunch ideas. 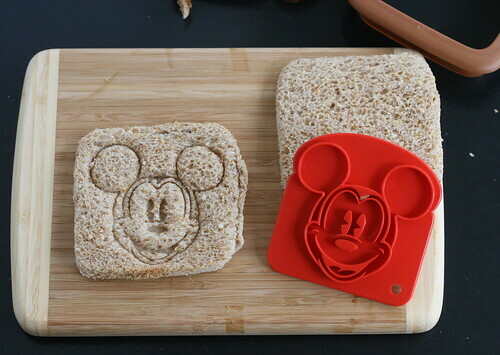 We have an old set of these (Mickey and other) bread stamps which I still use in the mornings when making toast (we call it "Fun Toast"). My kids are in college & high-school, but I still see a random smirk when I set the breakfast plate out with the stamped, toasted bread!